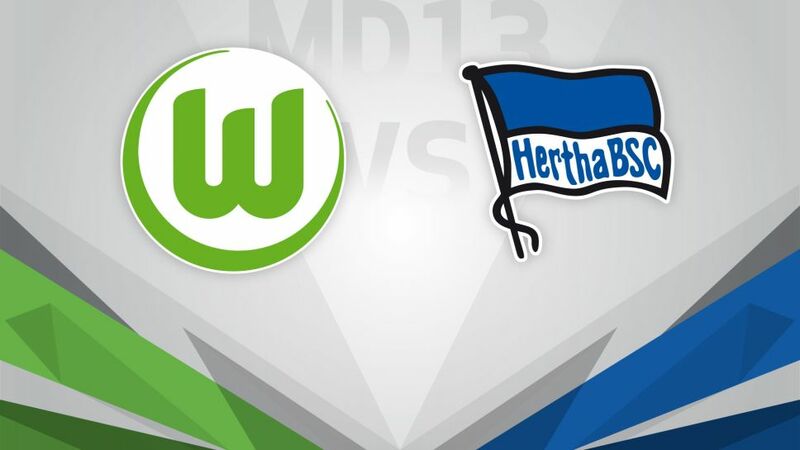 VfL Wolfsburg will be seeking only their third win of the season when third-placed Hertha Berlin visit the Volkswagen Arena on Saturday (kick-off 15:30CET/14:30GMT). Have you got your Official Fantasy Bundesliga team ready for Matchday 13? If not, click here. The Wolves were lucky to return from FC Ingolstadt 04 with a point last time out, as goalkeeper Diego Benaglio saved a penalty and frustrated Die Schanzer in a man-of-the-match performance. New coach Valerien Ismael will be expecting a much-improved performance against Hertha, as Wolfsburg look to avoid getting dragged into the relegation battle. The Frenchman will also be hoping Mario Gomez can keep up his impressive record against Hertha – the 31-year-old has notched up seven goals and four assists against the capital club in 11 Bundesliga meetings. Vedad Ibisevic grabbed all the headlines for Hertha in last week's 2-1 win over 1. FSV Mainz 05, scoring his 99th and 100th Bundesliga goals before being dismissed late on. That will keep the Bosnian out of Saturday's game with Wolfsburg, but Pal Dardai has a couple of other aces up his sleeve – notably Salomon Kalou, who set up both of Ibisevic's goals against the 05ers. The Ivorian is getting back to his best after recovering from injury, and will attempt to add to his recent hat-trick against Borussia Mönchengladbach as Hertha bid to shore up their place on the podium.